The Jack’s Nadi football team defied all odds to join Labasa, Rewa and Lautoka in this Saturday’s Vodafone Fiji FACT semifinals at Ratu Cakobau Park, Nausori. 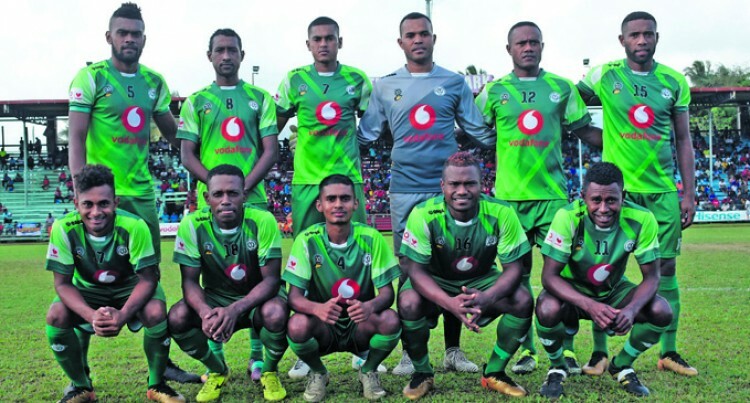 Nadi upset favourites Suva 3-2 and had a better goal average to edge out Tavua in Group B.
Nadi’s hero was striker Rusiate Batirerega who scored a hat-trick in the must-win clash. Speaking to SUNsports, the Bavu, Nadroga native said, when he entered the field, he made sure to prove that he has found the form that once made him one of the most feared strikers in the country. Matirerega who is the son of former national football midfielder Watisoni Voli was determined to make his dad proud. “Watching my dad play during his time is what motivated me to be the player I am today,” he said. Nadi take on Labasa who topped Group A in the first semifinal. This was after they handed Rewa a 4-0 drubbing in front of their fans last night. The Babasiga Lions started strongly and scored through Christopher Wasasala, Anare Apenisa, Pita Bolaitoga and Thomas Steiner. Labasa FC manager Nilesh Lal said they knew they had already qualified for the semifinal but instead they wanted to top the pool. “We still need to improve and the weather was our major challenge. “We will regroup and come back for the semifinal,” Lal said. Rewa coach Marika Rodu said they rested their key players as they prepare for Lautoka in the second semifinal. “I’m happy with the player’s performance and we will improve on our play before we face Lautoka,” he added. 3- Rusiate Mairerega (Nadi); 2- Tevita Waranaivalu (Suva), Anare Apenisa (Labasa), Pita Bolaitoga 9Labasa); 1- Vilive Naululevu (Tavua), Napolioni Qasevakatini (Nadi), Vilitati Kautoga (Nadi), Osea Vakatalesau (Lautoka), Setareki Hughes (Rewa), Edwin Sahayam (Labasa), Malakai Tiwa (Ba) . Thomas Steiner (Labasa), Ravinesh Karan Singh (Suva), Christopher Wasasala (Labasa).